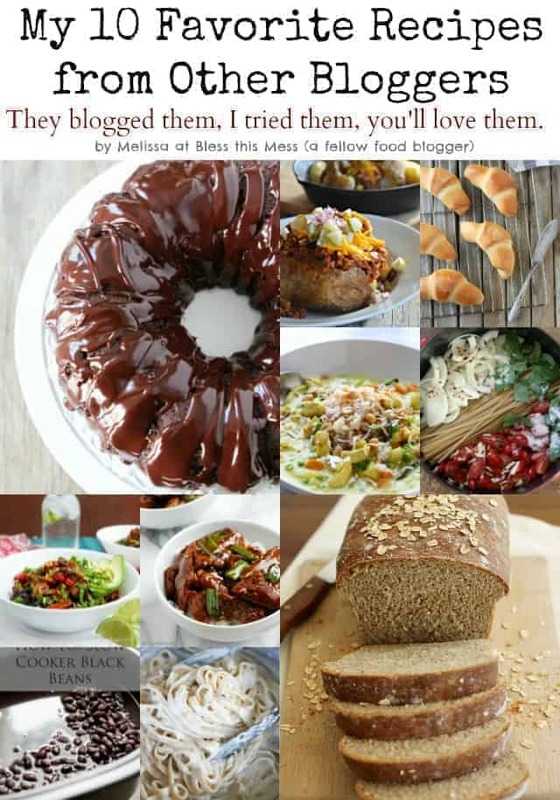 My friend Lindsey came up with the idea of posting our favorite recipes from OTHER bloggers in 2013 and I’m so glad she did. It’s such a great idea and I’ve had a lot of fun writing this post. As a foodie I am constantly trying new recipes; that’s what I do for fun! Even if I love the recipe it doesn’t mean that I post it on my own blog all of the time. I try way too many and have way too little time to recreate, photography, and write a post about them all. So as I was collecting my favorite recipes from other bloggers I realized they were all ones that I had tried personally this year and loved. So here is a really fun list of recipes that other bloggers have written up, I tried (and loved), and now you can try! Most of them have become regulars in my meal rotation too which is really saying something. Not only do you get to enjoy my 10 favorite recipes, but you can also pop over to other blogs and see what recipes they loved this year(also from other bloggers)! 10 bloggers total are doing this same thing and the links to all their posts are at the bottom. You are going to have access to some awesome recipe from ladies who really know food. 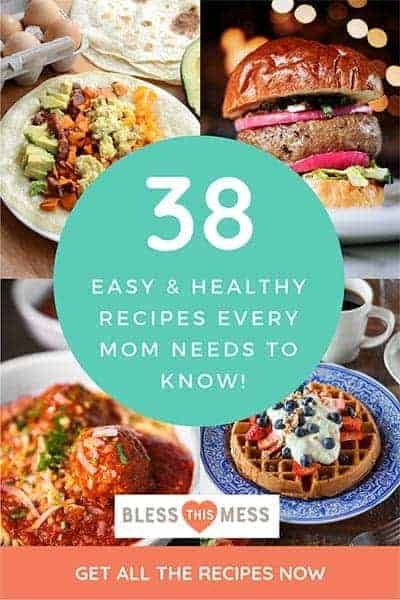 Get your Pinterest “pin-it” button ready because there are going to be lots of recipes featured you won’t wont to forget. 1. 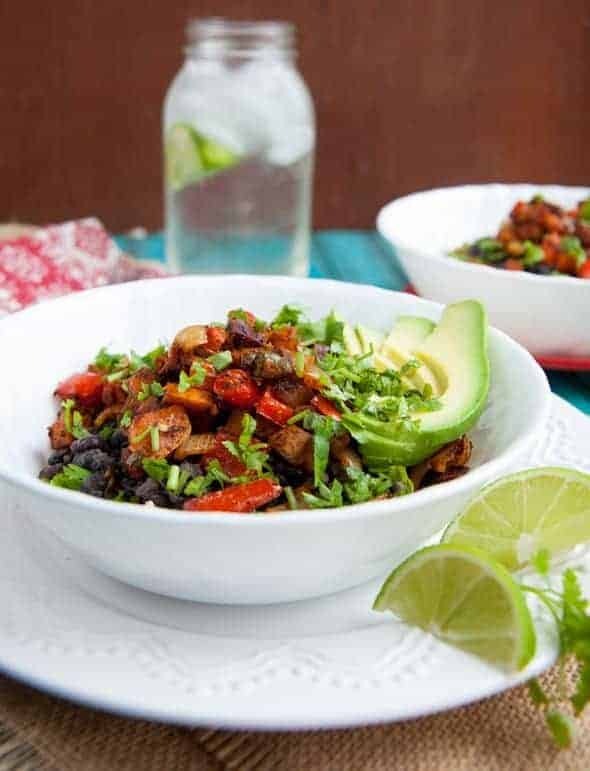 Roasted Vegetable Burrito Bowls from Wholefully – LOVE these! The sweetness from the roasted vegetables pairs so well with the black beans, rice, and other Mexican flavors. Plus, it’s meatless and I’m always looking for a new and delicious recipe for Meatless Monday. 2. 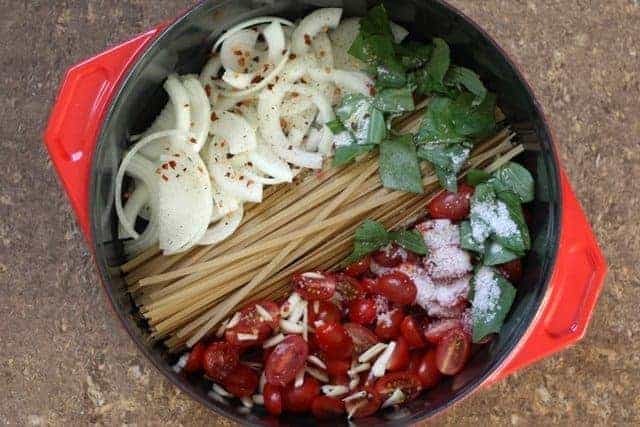 One Pot Tomato and Basil Pasta from Barefeet in the Kitchen – I tried this recipe when I had a big garden full of vegetables and I haven’t stopped making it since. I think I’ve made it three times in the last few months which is a lot for me. The idea of cooking the pasta IN the ingredients for the sauce was so weird to me, but it works! It’s delicious. 3. 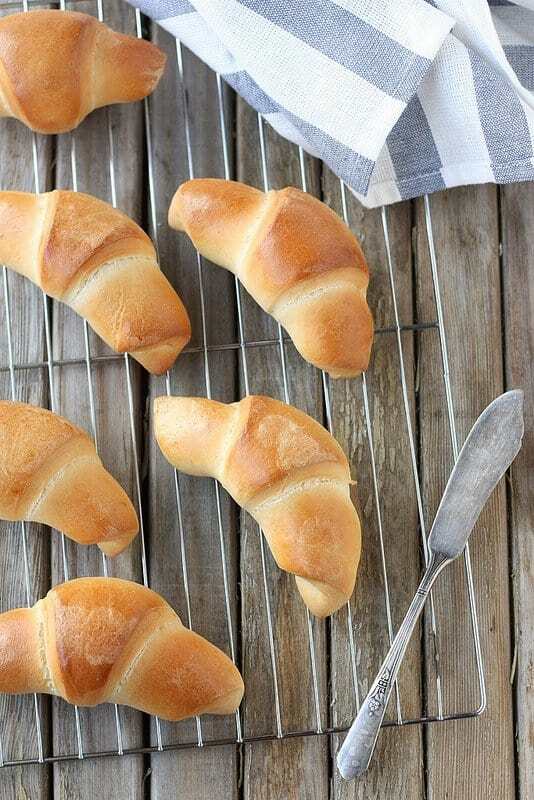 Quick and Easy Croissants from Completely Delicious- these really were quick and easy, not to mention tender, buttery, and delicious. A very fun break from my everyday rolls, and they are pretty to boot. My kids loved helping roll them up, though ours didn’t quiet look as pretty as hers. 4. Take-out Fake-out: Mongolian Beef from Table for Two – Julie wasn’t kidding when she named this “take-out fake-out”. It is just like the Mongolian Beef from any Chinese restaurant if not better. 5. 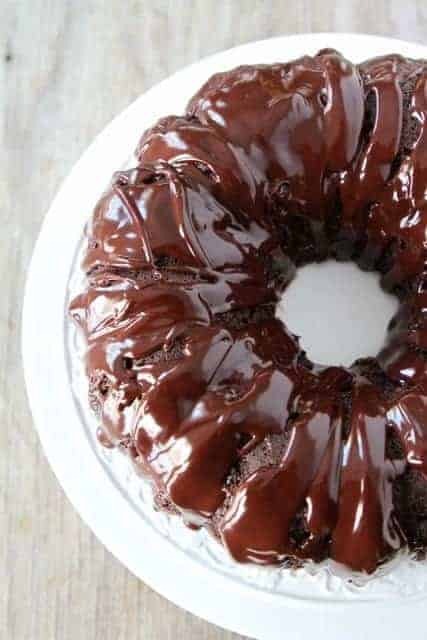 Chocolate Sour Cream Bundt Cake from Two Peas and their Pod – I can’t remember why I made this cake (Valentine’s Day maybe…), but I’m just so glad I did. It is easy, rich, and so chocolaty. Love at first bite for sure. 6. 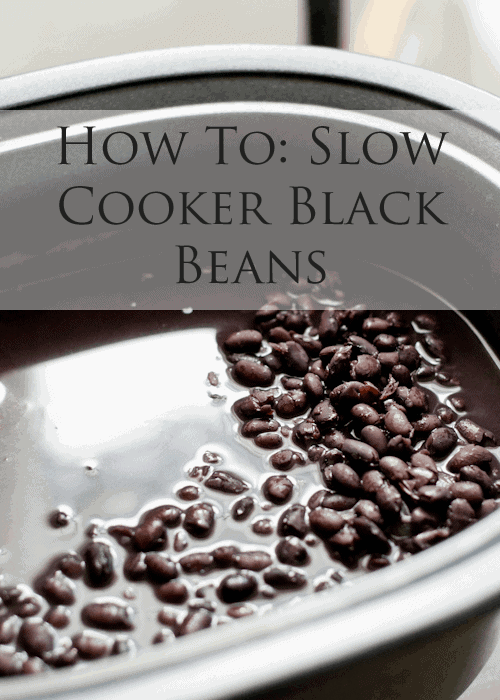 Slow Cooker Black Beans from Cafe Johnsonia- I normally cook dried black beans in the pressure cooker that I borrow from a friend, but when we moved this spring I no longer had access to the pressure cooker. I started cooking beans this way then and haven’t looked back since. I love black beans and this is a great way to cook them. Plus it’s economical and has no preservatives. 7. 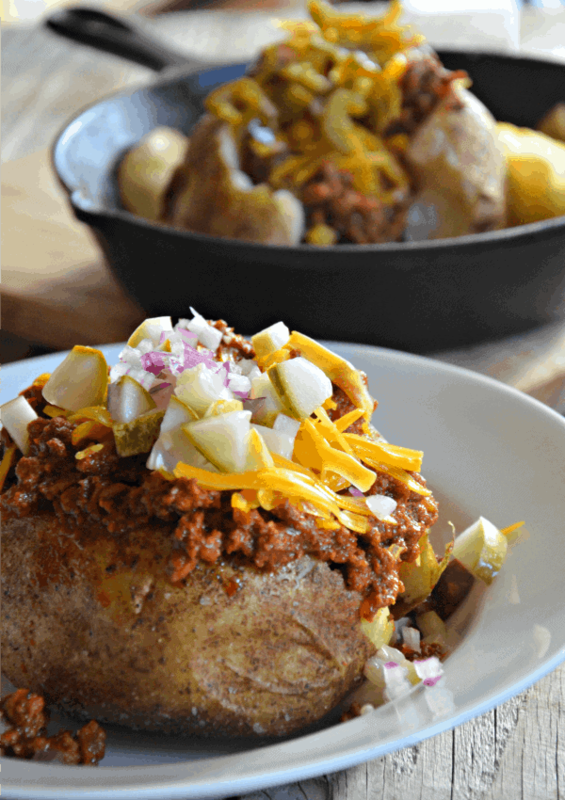 Sloppy Joe Stuffed Baked Potatoes from Mountain Mama Cooks – I tried this recipe solely to have another reason to eat pickles. I LOVE pickles. This recipe was a fun and tasty change from our typical baked potatoes and it’s one you should try. A slightly sweet meat, creamy potato and cheese, and then those salty pickles, MMmmmmm! 8. One Pan Fettucine Alfredo from No. 2 Pencil- After enjoying the tomato basil one pot pasta so much I just had to try this one pot alfredo version. It did not disappoint! My husband and kids love this recipe and it’s easy. Win! 9. 30 Minute Chicken Bang Bang from Lauren’s Latest- I tried this recipe on a whim after Lauren posted it on her Facebook page and I needed something to make that night for dinner. It was SO good, easy, and quick. My kids gobbled it up and the leftovers were a treat the next day. I’ll be making this again soon. 10. Whole Wheat Honey Oatmeal Bread from Girl Versus Dough- The picture of this bread lead me to try it (isn’t it a beautiful picture? ), and I wasn’t disappointed. 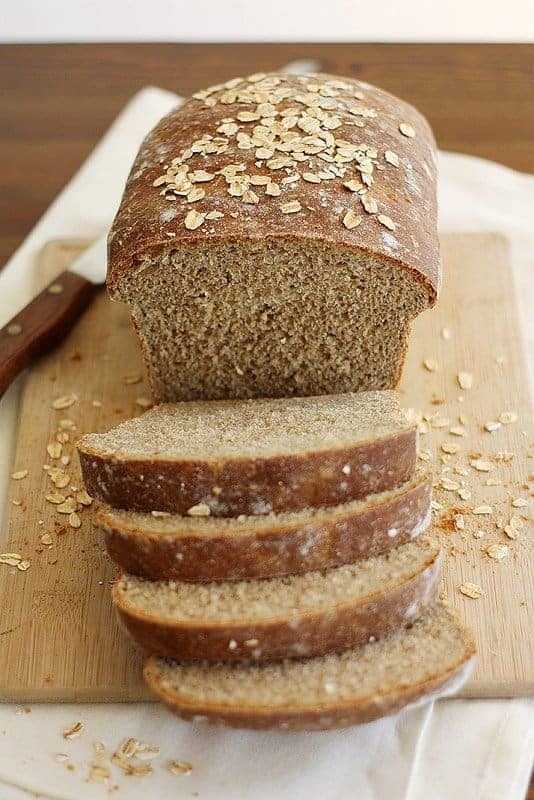 Soft yet hearty with a touch of sweet, this bread is a regular at our house. And I know I wasn’t the only one trying new recipes this year. What recipes did you try and love? I’d love to hear about them, links welcome! And as promised here are all of the other bloggers who compiled the same type of lists. It’s bound to be some drool-inducing reading! What a great collection; I’m seriously drooling over some of your picks. 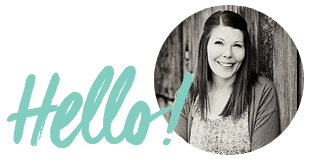 And I’m so glad I participated in this so I could discover some new-to-me blogs like yours! Hope you have a great year in 2014! Delicious choices! That loaf of bread is gorgeous. I love all of these! Some that I had missed and I’m off to check them out…I’m so glad you joined us! I’m going to try that Bang Bang Chicken. Sounds amazing! Thanks! It was good and EASY! I added a sweet potato all chopped up instead of the zucchini because that’s what I had and added a bell pepper. I also did a lot more curry powder and some garam marsala! Enjoy 🙂 I’ve made it twice now. I doubled it the second time and put half in the freezer to pull out when I need a little break from cooking. Thought you might like to see my post based on this! 🙂 I made a number of changes, including adding a bell pepper! Thanks again for posting this and making me aware of the recipe. It really is delicious. I’ve already read it! But I had trouble logging in to comment so I didn’t. Thanks a million for the shout-out and the red pepper was genius! Got it. I saw your reply at the bottom after I’d sent this. Oops! I’ll need to look into why it wasn’t letting you log in… Thanks again! I’m loving the look of that Take-Out Fake-Out…plus it’s fun to say! A delicious looking list. Happy New Year! I have been eyeing those potatoes from Mountain Mama Cooks – I need to make them asap! And all of these other recipes – what a great list! 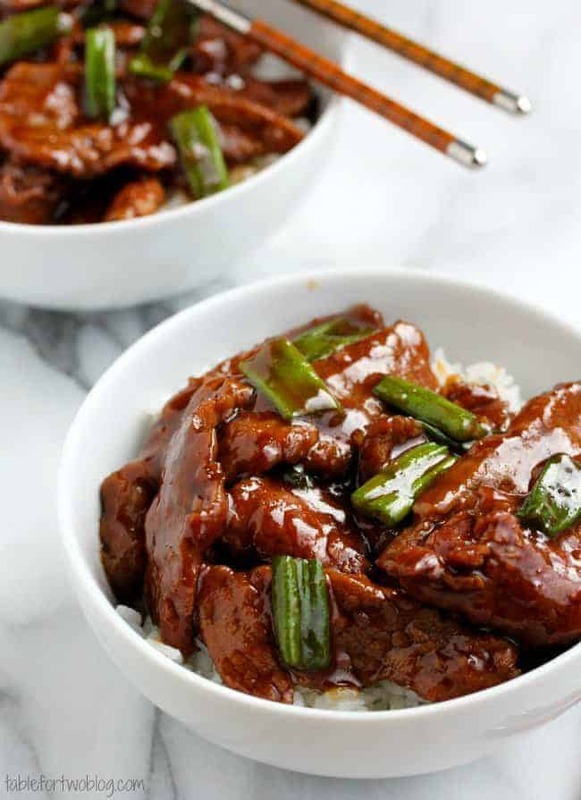 thanks for including my mongolian beef in this roundup! love this roundup! 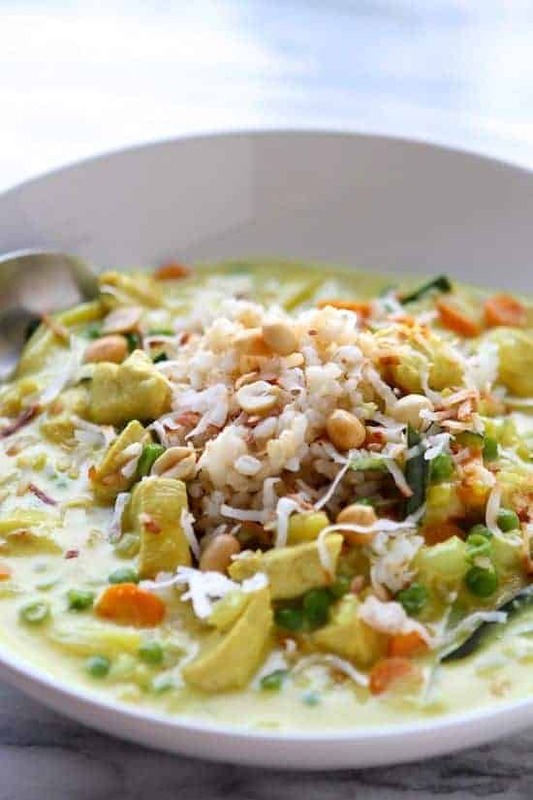 some great/delicious recipes! Thanks so much for the awesome recipe! It’s my 6-year-old’s favorite 🙂 And I’m pretty excited you commented on my blog… feelin’ fancy! Those beans look great! Love everything Lindsey does, I have been wanting to switch over to a slow cooker for my beans. The whole list looks GREAT! I can’t wait to check out these other blogs! Thanks for the shout out! I had trouble logging in to leave a comment or I would have on your blog!